Road Draw: Hill Climb Rider is one of the best motor racing game ever made! It is the next generation of motor racing. And it's free! 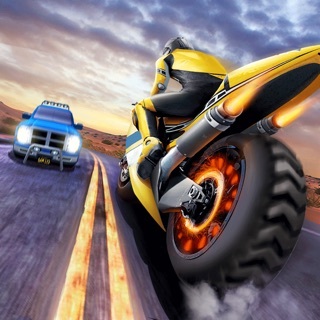 In this free game, you are god of the roads and you will rule the roads. ◆ Innovative gameplay that is funny, entertaining and addictive. ◆ Your mission : climb the hill, draw the roads and keep your motorcycle safe through the obstacles. ◆ Motorcycles have different properties like engine power, suspension and grip. Some motorcycles are great climbers and some of them are speed ​​enthusiastic. ◆ Realistic physics and 60 fps gameplay. ◆ Draw the roads of your own style and beware of the obstacles. ◆ Sketch paths and lines. Keep sketching and sketching again. ◆ Collect coins, fuels and surprise coin packages while climbing hills. ◆ Feel free and be creative while drawing roads. ◆ Play on 2 different weathers: sunny and rainy. ◆ Play daily and get great bonuses. ◆ When you need more coins, watch special videos and get free coins. ◆ It does not require any internet connection, so you can play it anywhere you want. And remember that a game is for having fun, so take it easy, and enjoy it! You can improve your focus skills while playing this game. Road Draw: Hill Climb Rider is free to play but there are optional in-app purchases available. Road Draw: Hill Climb Rider will be updated regularly with your suggestions. Please rate and help us to become the new world phenomenon. We're always working on creating new motorcycles, levels, features and fixing any issues you may find. Don't forget to leave a review with your feedback. About half ads, but the gameplay is fun when you aren’t having to watch an ad. Monkey Adventure - don't fall!